NOTE: A Marniism is any sort of useful habit or words of wisdom that I live by and want to share with you. Basically, a Happy Go Marni tip with a better name. Two weeks ago during Passover, I was helping my mom put away the leftovers from the seder. There were so many leftovers! 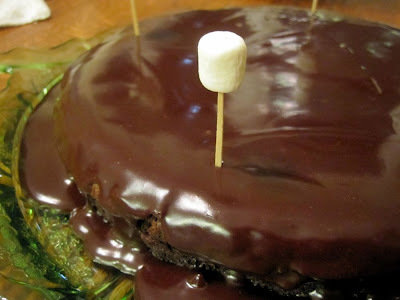 In fact, there was an entire untouched flourless chocolate cake with a chocolate ganache coating. I guess we overestimated the quantity of food needed. Although looking back, shouldn't this cake have been eaten up and the veggies spared? What's up with our priorities? 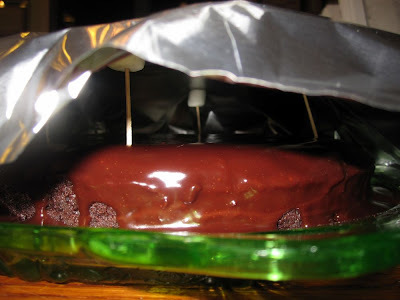 Anyways, as my mom went to cover this extra cake with a loose piece of foil that was bound to land on the top of the cake and stick to the ganache, I yelled "STOPPPPPP!" I told her about a technique I had learned from King Arthur Flour that protects a cake from having the frosting get stuck to the foil. We applied this trick to our flourless chocolate cake and it worked perfectly! Get a couple of toothpicks and the same number of marshmallows, ideally the large size, but mini marshmallows will work, too. Stick each toothpick into the top of the cake, spaced evenly apart at the corners of the cake. 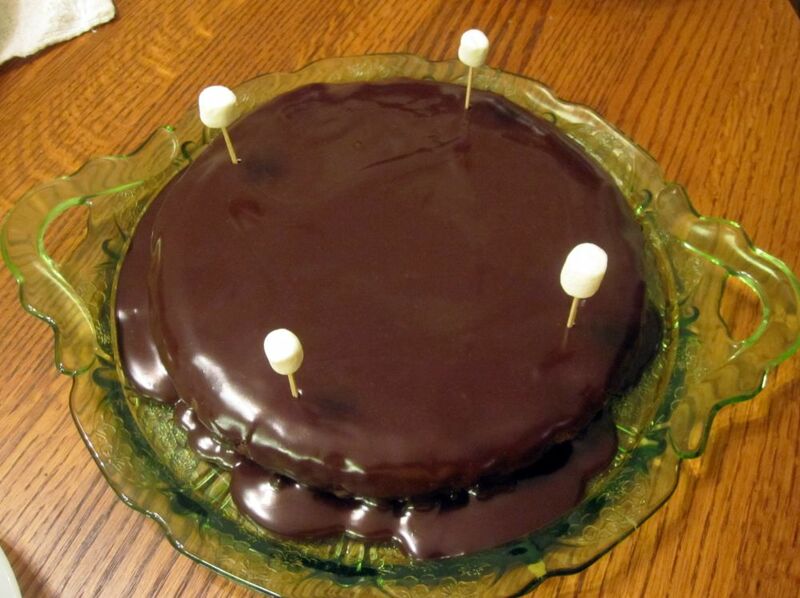 Don't push the toothpicks all the way down into the cake. You want them to stand tall over the cake. 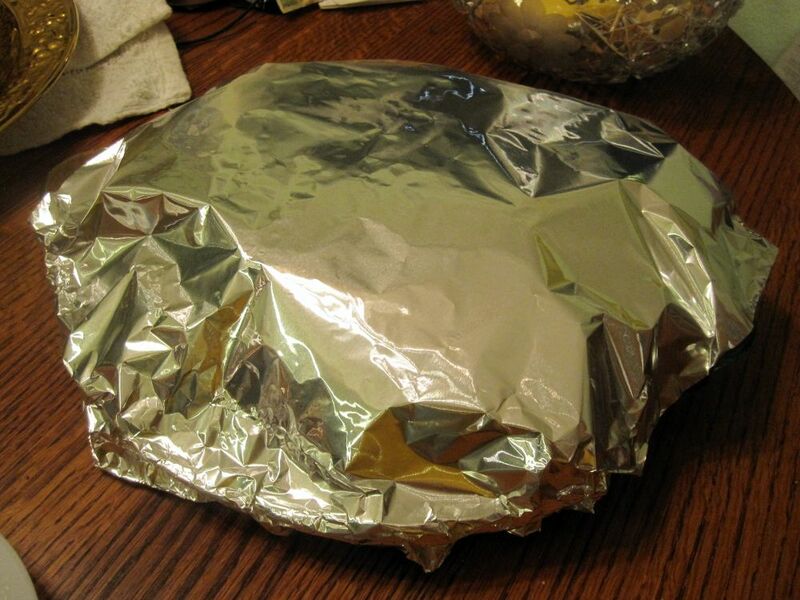 Then cut a piece of foil large enough to cover the entire cake and tuck under the plate. 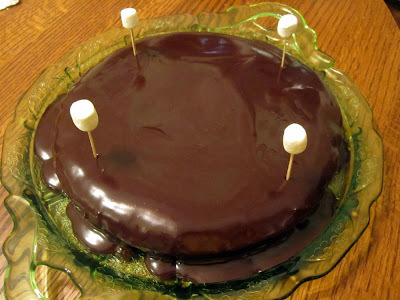 Rest the foil carefully over the marshmallow-tipped toothpicks. Voila! The foil never touches the top of the cake because of the marshmallow padding! I love this tip!!! Photo Gallery of the Marshmallow Toothpick Trick! Your tip worked so well. I can't believe I'd never thought of such a thing!! Thank you!